Featuring a full-grain cowhide leather construction with reinforced index fingers and seams, the Ejendals Tegera 88800 Heat Resistant Work Gloves provide a high level of protection coupled with superb flexibility, grip and fit. Thanks to a special Kevlar seam thread that resists heat of up to 427°C, they are ideal for hot work applications. The 88800 Leather Work Gloves are designated Category II gloves, meaning that they should be suitable for most medium-weight tasks. 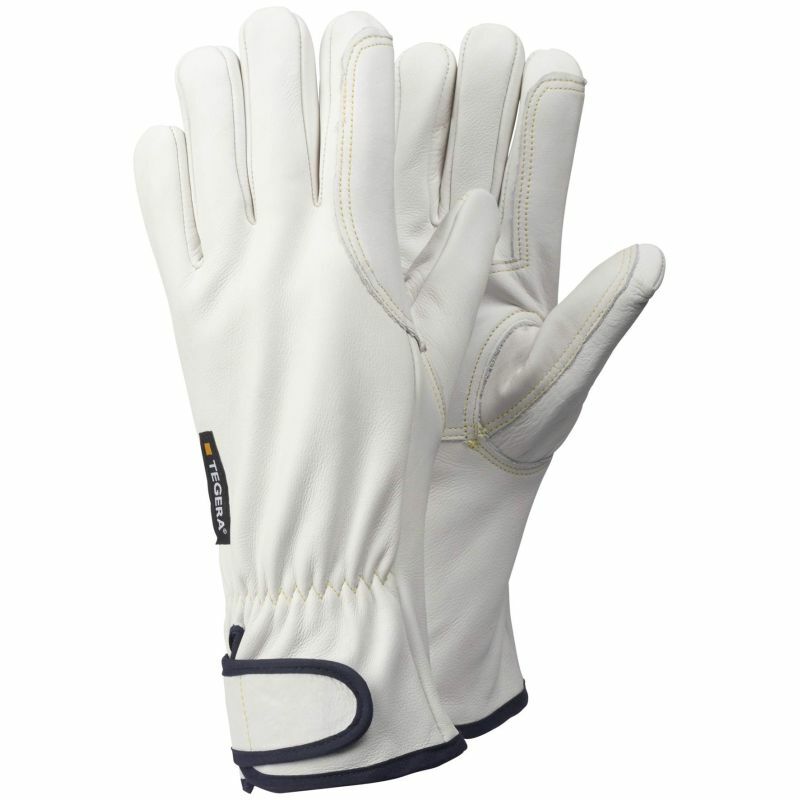 The Tegera 88800 Leather Work Gloves are available in several sizes that should suit the hands of most users. Please measure the circumference of your hand around the knuckles (excluding the thumb) with your hand open and your fingers together, and the length of your hand from the tip of your middle finger to your wrist.